Below are a few of the programmes we are currently involved in. 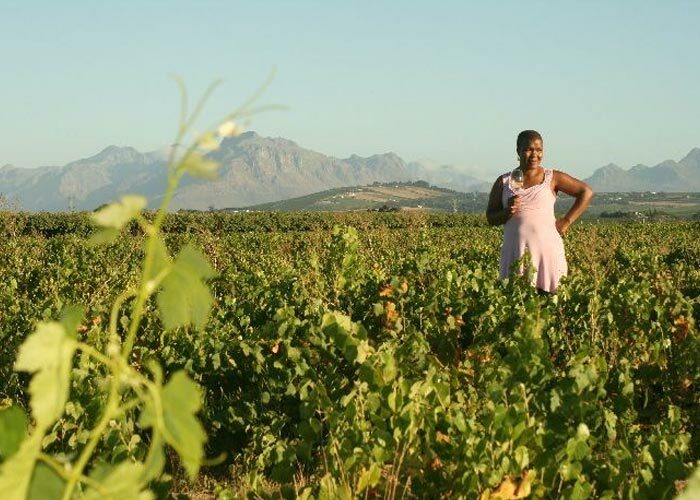 M’hudi Farm is a family owned wine farm and micro-farming business in Stellenbosch. It is the first fully black owned wine farm and BEE winery in South Africa. 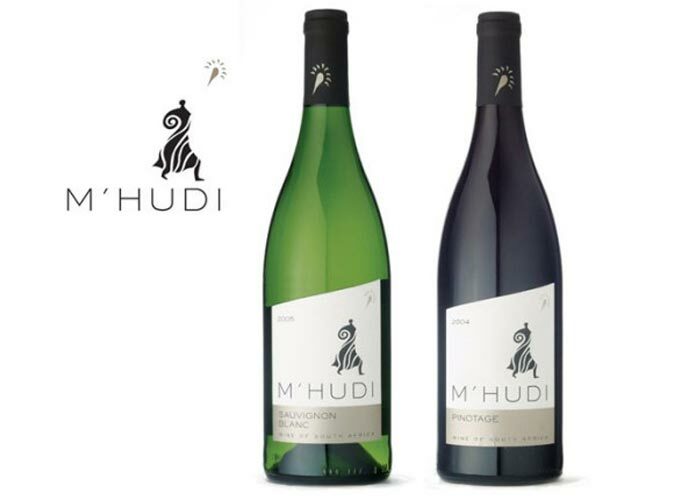 The name M’hudi is derived from the Setswana word ‘Mohudi’ meaning ‘Harvester’. Owned and managed by Malmsy and Diale Rangaka since 2003, their wines, fruits and vegetables have been enjoyed by many. SOS NPO have collaborated with M’hudi Farm, along with our Partners, to assist in creating a fully Green ‘off the grid’ sustainable farming and teaching academy, including all new farming technologies and methods. A training centre to ‘make farming cool again’ and grow Agricultural excitement in the Youth. The farm will collaborate with the Bloekombos Community to provide and uplift micro-businesses and provide educational and employment opportunities for the youth and residents. Bloekombos is situated on the eastern periphery of Cape Town, 2 km from Kraaifontein on both sides of Old Paarl Road in the Oostenberg municipality. 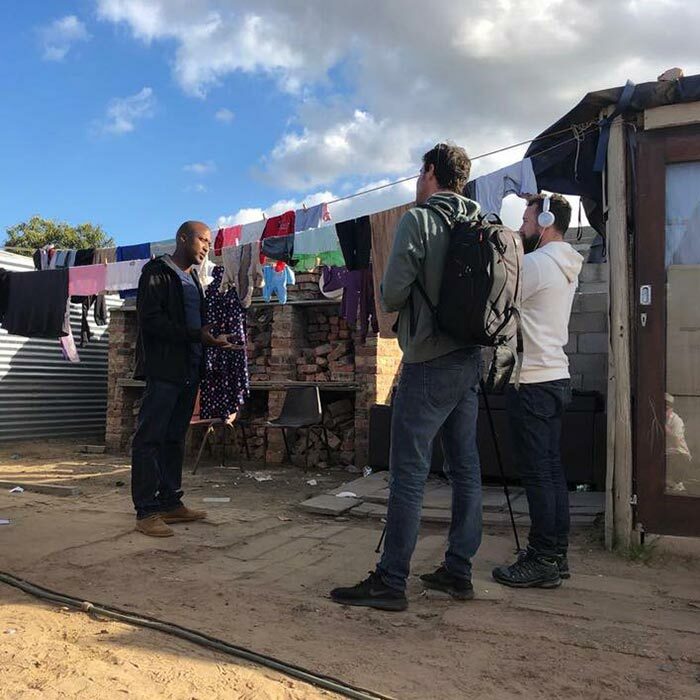 It is one of the fastest growing informal settlements in the Western Cape, with officially 40,000 residents, but in reality more than 60,000 people currently live in this underprivileged community. In 1998, the Government started building houses as a part of their reconstruction and development programme, which later proved to be insufficient due to various reasons. Despite these developments, Bloekombos inhabitants remain at a disadvantage. High unemployment levels, a lack of affordable job-specific training and insufficient access to resources, perpetuate this community’s legacy of poverty. The high incidence of families with single breadwinners places pre-school children at risk when their parent is at work. SOSNPO has seen that the schools have a significant impact and role in the community, where they act as much more than just an institution of learning. The children of Bloekombos are often left to look after themselves or in the care of people who may not realize the dangers of leaving them unattended. Abuse, inappropriate role models and insufficient intellectual stimulation form part of their lives at a time when they are very impressionable. Despite these challenges, the residents run a number of micro-businesses such as taxi/car washes and micro-farming gardens, in order to sustain themselves and their families. 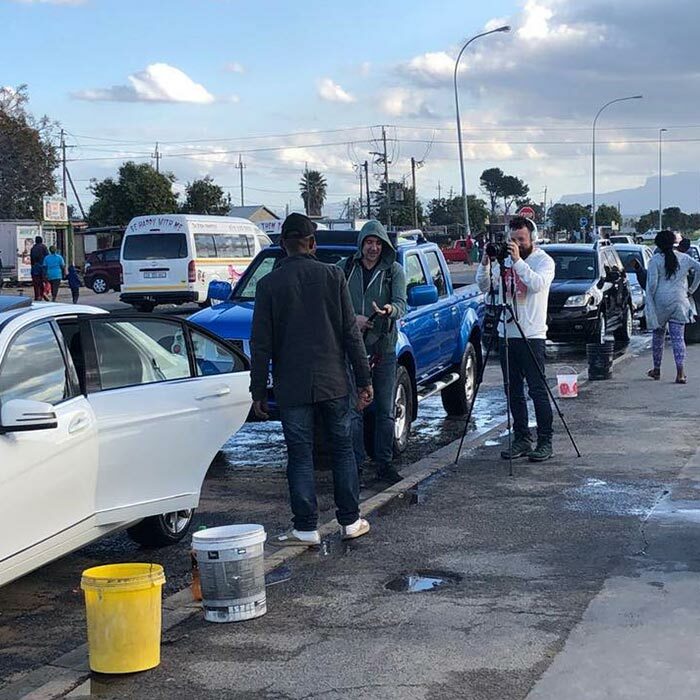 Unfortunately, due to the water crisis, these businesses have been ‘criminalised’ by the city, as the water restrictions currently forbid them to use municipal water for either of these uses. The unfortunate foreseen consequences of this will be that these families, who were previously able to sustain themselves, will no longer be able to, and the resort to crime looms larger for them as motivation. The city has even formally instructed a team of water enforcers known as ‘The Water Police’ (the first of its kind in the world) whose duty it is to investigate now ‘illegal’ use of municipal water and issue ‘on the spot fines.’ They are targeting informal settlements who consume the ‘least’ water in the Western Cape and closing down their businesses and fining them. We have commenced a community water support programme, where we will be installing our ‘SOS Water Community Towers,’ to provide them with non-potable water for taxi/car washing and irrigation for their micro-farms. We are planning to assist with alternate water sources for all six schools within the settlement as well as the HIV Clinic, Churches and all micro-businesses there.